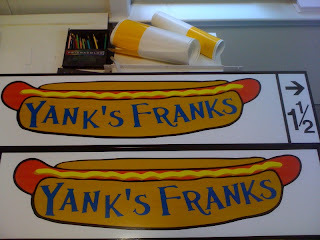 Yank's Franks would like to thank everyone that helped make our opening weekend so GREAT! We said it last year and we'll say it again...we didn't realize that one of the best benefits of opening a "hot dog joint" would be all the new friends we are meeting. Appearing for the first time, the Burgers, the BBQ Pulled Pork and The Angry Dog were tried by a few of you. But, it was the beloved favorites that stole the show... 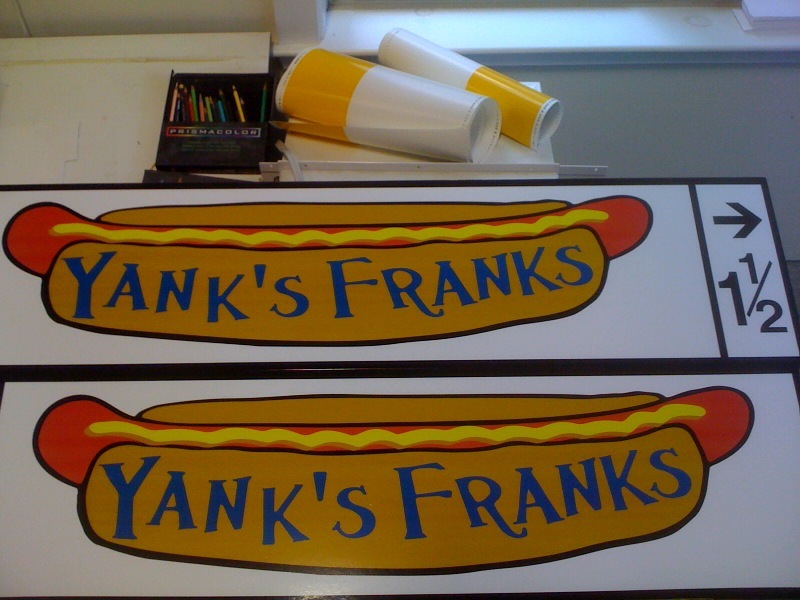 The Wells Beach Dog, The Chili Dog and The Yank's Frank were clearly the huge sellers for the weekend. Thanks again everyone that stopped in to say hello and get their hot dog fix. And those of you that couldn't make it, we look forward to seeing you soon. Frankly, we have the BEST customers! Where Can You Go and Have a Gluten-Free Hot Dog, Burger, Or Pulled Pork Sandwich...Yank's Franks! Yank's Franks hot dogs are too good to pass up, even if you suffer from Celiac Disease or Gluten Intolerance. Well, there is no need to ask for your hot dog or burger "just plain, without the bun." Yank's Franks is working with Rudi's Gluten-Free Bakery from Boulder, Colorado. Rudi's bakes both gluten-free Hot Dog Buns and gluten-free Hamburger Buns which will allow more customers to fully enjoy their visit to Yank's Franks. Both of these products are new to the market and Yank's Franks is thrilled to have this option available, making our menu more accessible to a wider variety of guests. If you're hopping off the highway and approaching Wells, or if you're leaving the beach to grab a delicious and quick lunch...just follow the signs to Yank's Franks. They'll be up soon and if your jonesin' for a delicious hot dog with some extra crispy fries, just follow the signs. Frankly, I really love our signs! team shirt. Lookin' good Cody. The Yank's Franks crew went mobile for the first time. Opening Day of the Wells~Ogunquit Little League kicked off yesterday. The day was a big hit for Yank's Franks as we served nearly 300 grilled hot dogs with all proceeds going to support the Little Leaguers. The volunteers that run this amazing program stopped by several times to thank us, but the truth is we had a fantastic day and we thank them for letting us be a part of it. As one of our Facebook Fans reminded us, Wells is the Friendliest Town in Maine. It really is true. We met so many great ballplayers and parents. To top off an otherwise perfect day, the team Yank's Franks is supporting this year, The River Dogs, won both ends of the Opening Day double header. Congratulations to them and all the Little Leaguers that kicked off what will certainly be a great season. Frankly, we are lucky to be in Wells, Maine!